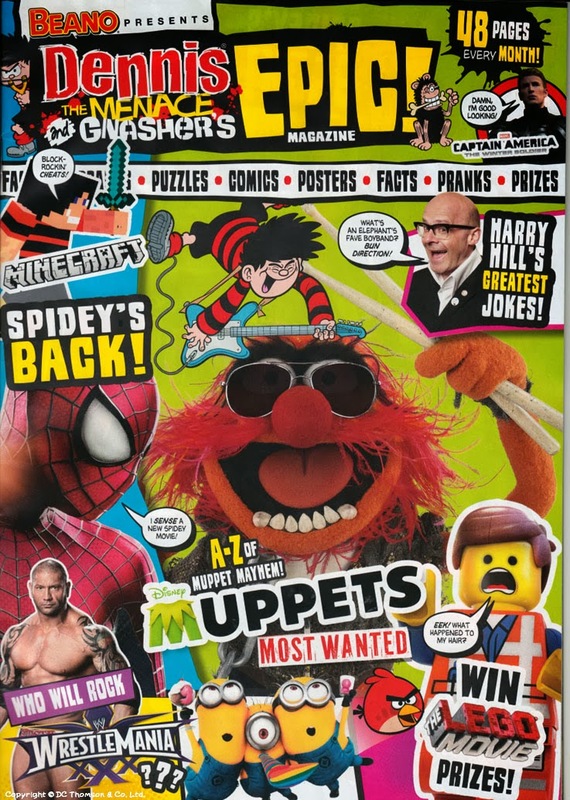 In a surprise move, after just eight issues, DC Thomson have changed the Dennis the Menace and Gnasher Megazine into Epic! Magazine. 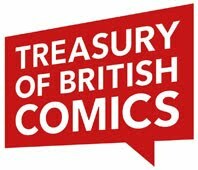 The previous title's average sales of 20,500 are presumably one reason, although on the Beano Facebook page the company cites reader feedback as the cause. Considering Thomsons do market research, it's quite likely that the kids wanted something closer to the popular Toxic and Mega magazines. 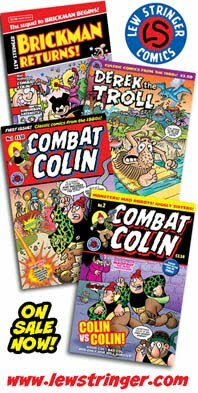 With Toxic selling 53,000, and newcomer Mega making an impressive debut at over 30,000, it's understandable that DC Thomson would want to launch a magazine in that style. 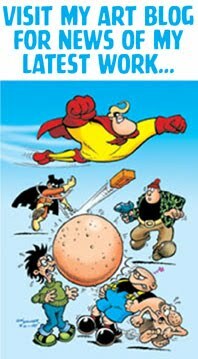 After all, such competition between Thomsons and their rivals has been going on for decades, - Beano/Radio Fun, Warlord/Battle, Bullet/Action and so on. 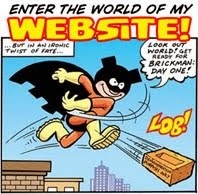 Naturally comic fans will be disappointed that Epic! 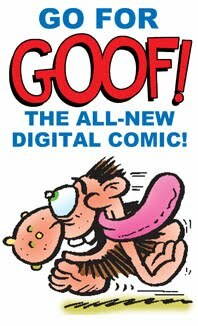 has less comic content than its forerunner (and its even earlier incarnation of BeanoMax). 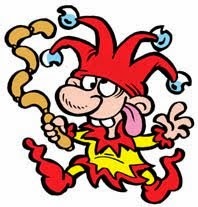 Just nine out of 48 pages are comic strip, and all feature Dennis the Menace. However, judging Epic! on what it is, rather than what it isn't, it is a worthy competitor to its rivals. There are game secrets, breezy movie previews, puzzles, posters... the usual stuff that kids seem to expect from a magazine today. The new mag promotes itself quite relentlessly throughout, with the Epic! logo appearing at least 22 times. 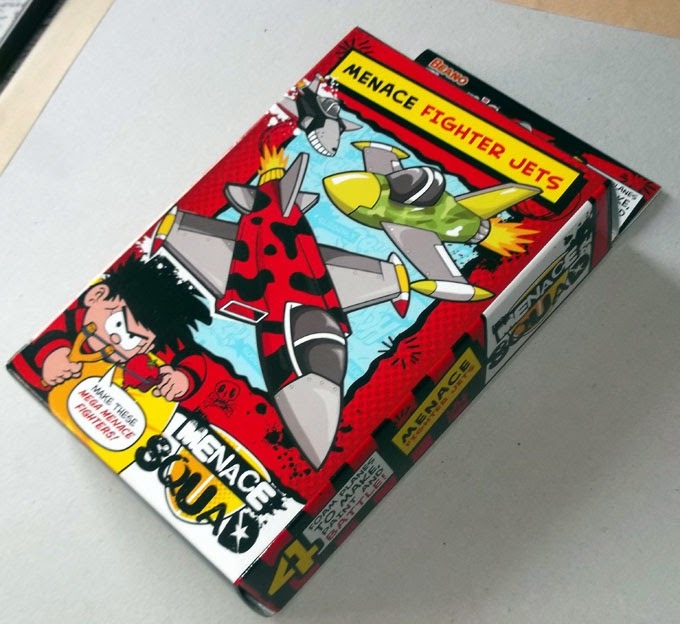 It also has a pretty good free gift in the form of Menace Fighter Jets; foam model kits, complete with a brush, stickers, and paints. It seems to me that one drawback may be that at £3.99 Epic! costs a pound more than its rivals (although Toxic is occasionally that price too). Also, being bagged, it's possible it may just be obscured by all the other bagged mags on the shelves, but that's a risk publishers have to take now. As a comic-mag/gift package it's a strong debut. Let's wish it all the best for an Epic future. It'll probably be an epic fail. Just like its immediate predecessor. I also hate cluttered covers.. I know what you mean Peter, but I can understand why they've done it. All their rivals have those sort of mags for children so it makes sense to get in on it. 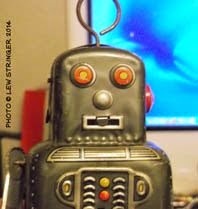 I hate this change - the only "good" thing was the Menace Fighter Jets... however my paint pots were missing. Phoned and I'm getting some sent out to me. And, the fact they're putting "WORTH" something on the picture of the gifts on the bag of the mag is even worse. Yea, so what do we care if it's worth so much? No! You might not even LIKE painting or collecting FIGURES..! 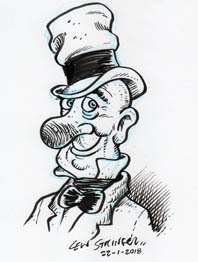 They even did it in the Next issue Page - DUBBLE WORTH 70p ect! The point of telling readers how much the gifts are worth is to show how much they'd cost if you bought them in the shops. A bar of Dubble is indeed around 70p. A pack of those trading cards would cost £1. This is something that comics have done for years. 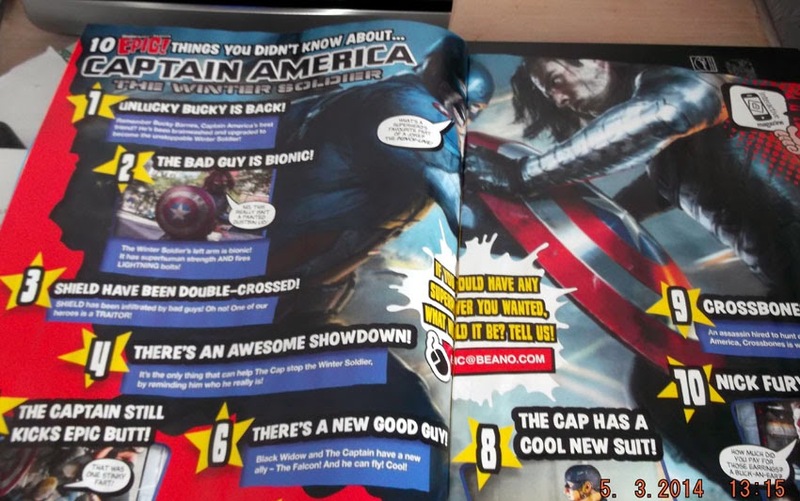 I can't see how a tiny caption like that could affect anyone's enjoyment of the magazine. Did they not already try this approach with Dandy Xtreme ? 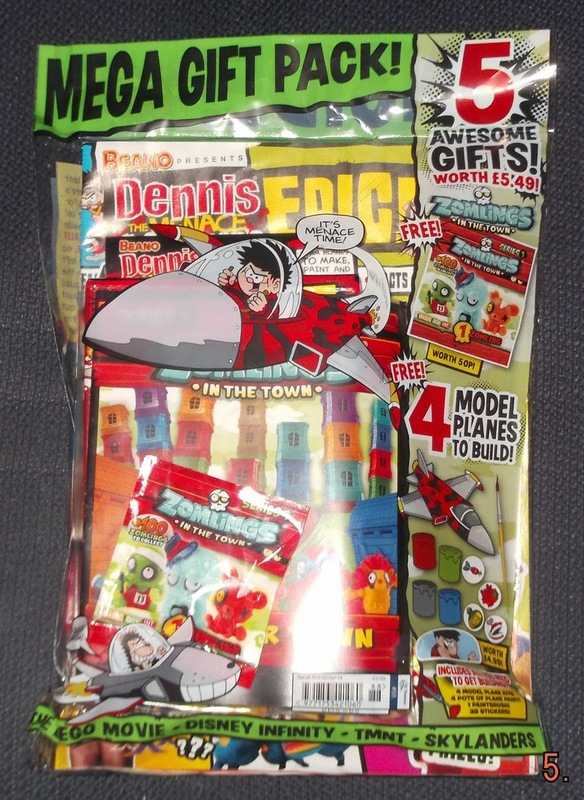 What's most depressing from the photo is that Thomsons now seem to be in the business of selling a "Mega gift pack" one component of which is a (barely visable) magazine with some comic strips in. Indeed, but it pays off for its rivals so it's understandable why they'd want to try it. If comics were outselling bagged mags they'd have stuck with that I guess. Sign of the times unfortunately.